Comments: brand new ships same day via fedex with tracking number AND 5 DAYS GAURANTEED DELIVERY. US EDITION. 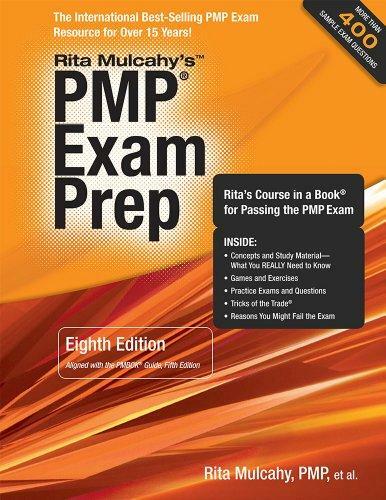 Rita Mulcahy is the author of 'PMP Exam Prep, Eighth Edition: Rita's Course in a Book for Passing the PMP Exam', published 2013 under ISBN 9781932735659 and ISBN 1932735658. Loading marketplace prices 159 copies from $21.02 How does the rental process work?